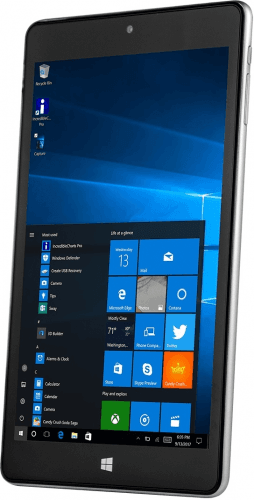 Also known as NuVision Solo 8 Windows, the TM800W610L combos its 8-inch display size with an above-average resolution of 1920 x 1200 pixels, making it a likely choice for fans of mobile movie viewing, while it unfortunately has a 6-hour battery life, which is two hours shorter than the average usage time across all the tablets in our database. Also, it puts its hardware specs in the spotlight, with both the 1.84GHz (max) processor speed and 2GB RAM being promising values on this tablet's market. 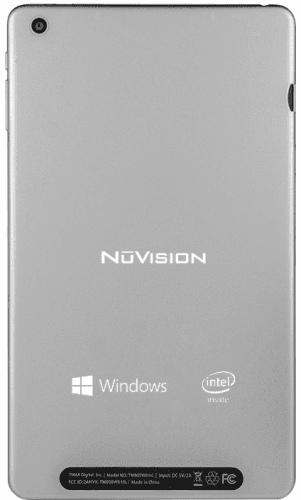 Also known as NuVision 8” Signature-Edition TM800W610L, NuVision Solo 8 Windows. Latest NuVision tablet computers See all the new NuVision tablet computers.